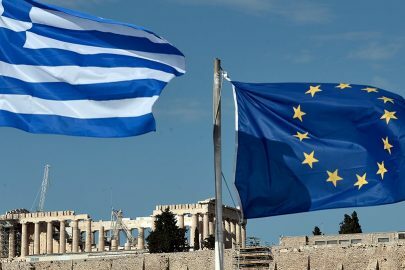 The Greek economy is recovering, the stability programme is ending in August and a gradual loosening and lifting of capital controls is expected, Daniele Nouy, the chair of the Supervisory Board of the European Central Bank, said on Thursday. Addressing the Delphi Economic Forum 2018, Nouy said that both the economic crisis and the public debt crisis were deeper in Greece compared with most other countries and this had affected banks, which were badly hit. She added, however, that Greek banks had shown great progress but continued to face challenges, of which the problem of non-performing loans (NPLs) was the biggest. “Emergency Liquidity Assistance (ELA) was a characteristic of the Greek crisis for a long period time. Banks are now less dependent on this mechanism. “In 2017, emergency liquidity assistance fell more than 50 percent and Greek banks are not seeking liquidity from the central bank but from capital markets. 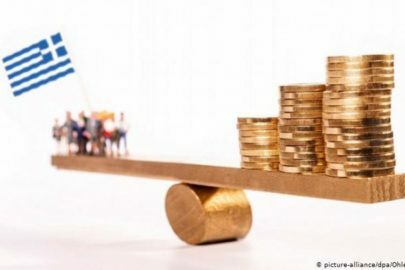 Depositors began returning and, after a further lifting of capital controls, they probably have more incentives to make new deposits in Greek banks,” Nouy said. She noted that Greek banks have carried out structural reforms: “They have made changes in the composition of their boards, hired new, independent and experienced executives. This was the first significant step towards better governance. “The biggest challenge facing Greek banks and many other banks in the Eurozone is non-performing loans,” she said, adding that Greece has the highest NPLs rate in the Eurozone, at around 50 pct. “This is a huge problem. NPLs lead to lower profits and prohibit the channeling of human and other resources to more productive activities,” she said. “NPLs are not just a problem for banks. They are raising obstacles to offering new loans in the economy, hindering economic growth. It is true that although the levels of NPLs fell to €760 billion ($927 billion) in the Eurozone, it is still very high. That’s why it is an absolute priority for European banking supervision,” Nouy added. 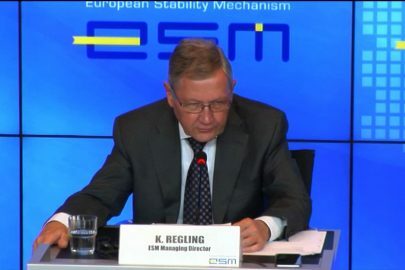 She said that the ECB’s approach to resolving the NPLs issue was based on three elements: a quality direction report released in March 2017 and addressed to banks, a dialogue between supervisors and banks and completion of drafting a direction report. Greek banks have made progress, others more, others less, Nouy said. “Things are not so simple as they might seem. Banks plan a big reduction of NPLs each year, so they have to intensify efforts,” she said, adding that NPLs were not just a problem for banks and supervisors. “A legal and court framework must be enhanced to facilitate a faster settlement of these loans, taking measures in sectors such as insolvency, out-of-court settlement and forced collection of debt. “Greece has voted a new law in these sectors and this is encouraging. But this is just the first step. Implementation of laws must be followed and things could move faster at this point,” Nouy said. She noted that a new e-auction system must be implemented swiftly and cover the whole of the country, while Greek authorities should offer better protection to notaries participating in e-auctions. “As soon as e-auctions are put into place, we expect debtors to approach banks and to reach mutually acceptable solutions. The new system will contribute to changing attitudes toward the servicing and repayment of loans. This change will need time, but it is an absolutely necessary process,” she said. 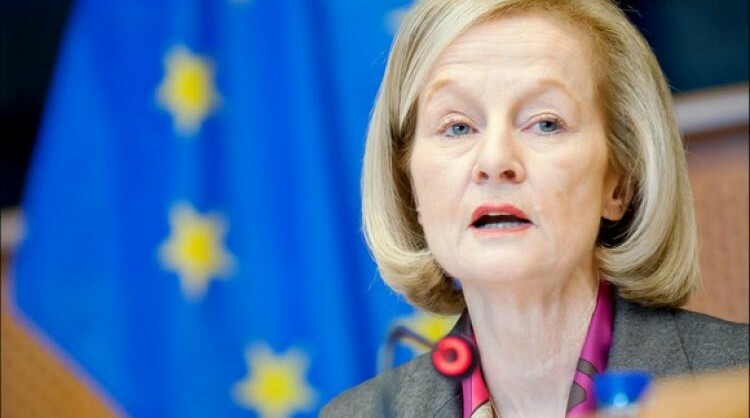 Nouy said that “Greek banks needed intensive treatment for a long time. But their condition stabilized and they are gradually returning to normal levels. But, as long-term patients, Greek banks are still a little weak. “It will take time and determination to fully recover. But as in other Eurozone countries, in Greece as well conditions are good. And since we are in Delphi, it is right to say that the omens are favorable”.